Can contractors and freelancers get Help-to-Buy mortgages? The simple answer is: YES! Help-to-Buy mortgages are available to most homebuyers in the UK (clarification in guide). If you’re a contractor and a homeowner, you already know the pain. You know just how difficult getting a mortgage as a contractor is. Banks and building societies exhibit unwarranted reluctance when lending to contractors! But don’t worry. We have the answers, but only if you ask the right questions to the right people. Here’s our roadmap to homeownership for contractors. First, we’ll share with you a bit of background. You need to understand why High Street lenders are so resistant to the self-employed. Why Do Contractors Need a Specialist Mortgage? After the credit crunch, the ensuing financial climate made it hard to get a mortgage. The banks that took the blame for the economic meltdown tightened their belts. In a way, they had to. Lenders had to prove that they’d learned a lesson. They had to show a global audience that they’d become more responsible. But this stance caused its own problem. Lenders would only approve mortgages for borrowers that matched a perfect borrower profile. Many wouldbe homeowners fell short of that target, causing the housing market to suffer. So, you’re a skilled contractor, the very definition of an independent professional. Contracting has enabled you to earn top dollar. Your reputation now precedes you. You have a long term contract in hand with a great day rate. You’ve supplied your service like this for a couple of years, now. And you have full confidence in maintaining this lifestyle indefinitely. Awesome! Now that you’ve planted roots in your industry, you consider your personal situation. It’s time to put a roof over your head, one that you own. Have you tried using your contract rate to get a mortgage, recently? I know. Despite earning more than ever, the High Street won’t give you the time of day. That’s because contract income is a specialist area. As such, no two mortgage lenders appraise contractors the same way. 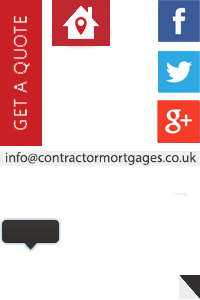 There is no official template for contractor mortgage lending criteria. The truth is, most High Street mortgage providers do lend to independent contractors. But they do so through their head office via specialist brokers, not in branch. This guide is gold, giving you information you can’t get at High Street level. It’s the lowdown on what all the UK’s contractor-friendly lenders look for in a contractor. Trying to get a mortgage can be an insurmountable downside of contracting. Contractors do have certain lifestyle advantages: higher pay rates, flexible hours, greater freedom. But the pay-off is often settling for an uncompetitive mortgage on the High Street. Lenders often reject or penalise applicants who don’t fit their salaried/employed borrower model. That’s because many banks and building societies still use inflexible formulae to approve loans. To generic financial advisors, contractors are either ‘employed’ or ‘self-employed’. As a limited company contractor, you’re a bit of both. As you’re independent of your client, yes: you’re self-employed. But as the director of your limited company, you also employ yourself.